For almost 25 years, I was a teacher of those preparing for ordination or for the lay ministry. That is, I was a teacher of those who — or so I naively thought — were so selflessly offering themselves, and at times their families, into the service of the church and to the fulfilment of God’s mission purposes. These were good and decent, faith-filled men and women who told me they understood that their baptismal promises, and later their ordination vows, meant they had a number of obligations. Obligations to seek the lost and lonely, to feed the hungry and comfort the sick, to shelter the homeless and visit those in prison, and to stand against injustice and advocate for the oppressed. And obligations to be unafraid of challenging unjust laws, to be fearlessly prophetic in the public square, to be gentle and merciful beacons of God’s unending love. I believed them when they told me that — and I believed in them. 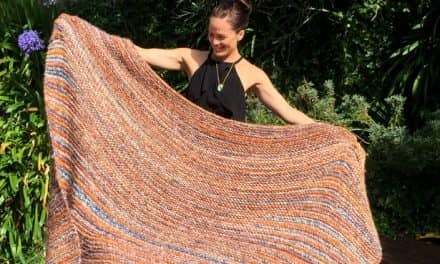 As a lay woman, I’ve always been in awe of those who, as they are ordained, profess before the people and before God that they will undertake to do all of these things — and that they will live lives of moral righteousness, committed to serving the needs of those who are the least among us. I am in awe of anyone who can stand, presumably in all humility before the altar, and vow to do this. Why am I in awe? Well, because I know that I certainly couldn’t. I’m too impetuous, too undisciplined, and probably too prone to mischief-making rather than peace-making. But I have immense respect for those who do publicly commit, and I’ve always been driven to provide the very best theological educational experience for my students in order to help them fulfil their ordination promises. However, as those of you who are teachers will know, not all students want our help. And not all institutions believe that teachers even need to be involved in curriculum development. After all, teachers are there to teach at the behest of the institution. Pope Francis is the one who, as a student, would’ve fulfilled my teacher yearning. Gentle, compassionate, articulate, and an utterly fearless holy person of God. It’s he who exemplifies the men and women students I always had in mind and in my prayers. But, every year, while I was yearning for students who shared my theological assumptions and my passion for Gospel-driven activism, I was largely disappointed. Too many of those young men and women sent by the church to my seminary for theological education were never destined to share the qualities of a Pope Francis. I fretted about this. Wrote and spoke about it. Raged a bit about it, too. And often found myself despairing about the calibre of those destined for church leadership not only here in Aotearoa, but also in the Pacific. It was because of this disconnect between the rhetoric of the theological academy and the reality of human suffering — the poverty, homelessness, violence, mental health issues, domestic abuse and so on — that I began to think and pray even more fervently about what needed to change. How could students become like Pope Francis if they weren’t being intellectually and spiritually fed as he so clearly had been? I didn’t blame the students. There was something radically wrong with the seminary diet. And so I began an uphill and stunningly unsuccessful struggle to encourage my church to take seriously what I was urging upon them. I was arguing for changes in the theological curriculum, pedagogy, assessment and environment. That, I felt, was and still is imperative if the church is serious about its responsibility to produce Christ-like leaders. Compassionate and selfless men and women of spiritual wisdom and holiness. Men and women acquainted with the historic and contemporary ways of the world and unafraid of oppressive powers. But, my church, the Anglican Church in Aotearoa New Zealand and Polynesia, was not, and is not, the slightest bit interested in transforming its dominant theological education paradigm. And, from my experience of much of the Pacific, neither are any of our other churches. Instead, most Pacific seminaries are still raising little princelings, who yearn only to be kings. To be served and not to serve. To be feted like emperors at the top table and to have all women, especially their wives, know unquestioningly their (falsely alleged) biblically-mandated, subservient place. What I find so disturbing is that there seems to be increasingly little awareness among church leaders — both Māori and Pacific — that there is a direct correlation between Gospel truth and political activism. They have only to look to the example of Jesus to be convinced of that reality. Instead, however, there’s either a preference for the Pacific-wide propaganda (masquerading as theology) being peddled by obscenely wealthy white tele-evangelists. Or else our leaders speak as those schooled into passive acceptance of conservative, unyielding theology. 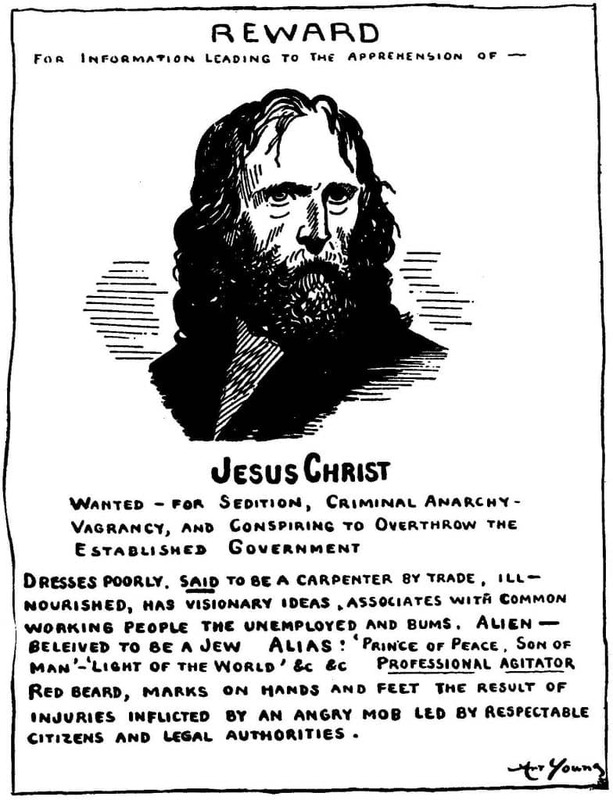 Political cartoon by Art Young depicting Jesus on a “wanted-poster”. First published in The Masses in 1917. Reward for information leading to the apprehension of Jesus Christ — Wanted for Sedition, Criminal Anarchy, Vagrancy, and Conspiring to Overthrow the Established Government. Dresses poorly, said to be a carpenter by trade, ill-nourished, has visionary ideas, associates with common working people, the unemployed and the poor. Alien — believed to be a Jew. Alias: ‘Prince of Peace, Son of Man’, ‘Light of the World’ etc etc Professional Agitator. Red beard, marks on hands and feet the result of injuries inflicted by an angry mob led by respectable citizens and legal authorities. I used to ask my students: “What is it about this image of, and narrative about, Jesus that isn’t true?” Some ultra conservative students insisted angrily that it was all untrue. Most said they found it unhelpful because no one had ever taught them to see Jesus as a radical activist. And others said the poster was all true, but still they found it hard, if not impossible, to see themselves in the same way. And it’s this inability to empathise with the real Jesus of the Bible that needs a remedy. It’s this age-old, patriarchally-driven, sanitising, domesticating, emasculating of the radical Jesus at the hands of those wielding the power in the church that has led us, as Pacific people, to becoming theologically passive, submissive, uncertain and compliant — and to adhering to the dominant theological narratives, all of which are bereft of our cultures, our theology, our thinking, and our art. One of the consequences is that our church leaders don’t engage in public debates on important and ultimately life and death contemporary moral issues such as abortion, euthanasia, gay marriage, or warfare. Instead, they hide behind their false piety and their slogans. I want our religious leaders to be far better than this because I believe we have much yet to contribute from our own wells of indigenous knowledge, theological insight, and experience into the reforms of outdated, colonially inspired laws — and also to developing new laws. I want religious leaders who are articulate and visionary thinkers, who know and care about constitutionalism and who understand its ramifications for our island states and for Aotearoa. I want religious leaders who’d hold the Bible, the Koran, or the Torah in one hand and who’d simultaneously look to enduring secular treasures such as the United Nations Declaration on Human Rights to benchmark every aspect of any new or revised constitution. This ought not to be an impossible goal because, for example in my own denominational stable, we see authority never being based solely on the opinions of the individual, but rather on “scripture, tradition and reason” acting in concert. To reason well, though, you need some basic understanding of political and moral philosophy — and possibly some legal theory too. But you won’t find these subjects in a seminary curriculum anywhere in the Pacific or here in Aotearoa. Instead, we have a preponderance of religious leaders asserting that the “authority” of their religion or their religious beliefs — the two of which aren’t necessarily always in accord — is to be preeminent. So, when it comes to engaging in reasoned, compassionate, and morally judicious debates in the public square about gay marriage, euthanasia, suicide, abortion, or women’s rights generally, there’s no evidence that most of our religious leaders are prepared for this responsibility. And, as a result, they can often play a part in obstructing pathways to justice for those directly affected by discrimination. Unlike predominantly secular societies which, to a great extent, have disentangled moral questions from the judgmental clutches of male church leaders, we of the Pacific have yet to free ourselves from these limitations. Leadership within our religious institutions needs to change. Our lives as women now depend on it. So do the lives of gay and lesbian people. As do the aspirations and opportunities for all young people. So do the credibility and the very survival of our religious institutions. 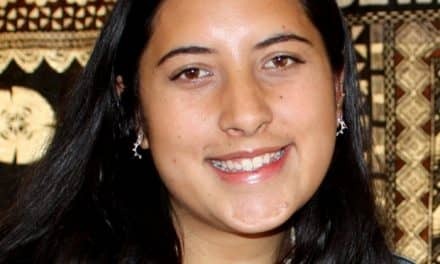 And so I firmly believe that, as Māori and Pacific people bound to our faith communities and to the churches of our forefathers and mothers, we must commit to transforming our religious academies. As sacred places of teaching and of learning for those destined for church leadership, our seminaries must become places of culturally-enriched academic freedom and compassion for those who suffer — and where the norm is for a curriculum reaching out to embrace philosophy, the law, sociology, and human rights. This is an edited version of an address given at the Pacific Law, Custom and Constitutionalism hui last month at Fale Pasifika, University of Auckland. But not excited in terms of change in pedagogy. Un/dis/Non – excited. I dont profess to be a language expert. Those who can – will make it happen…or not. I was one of your theological students 1999-2000. 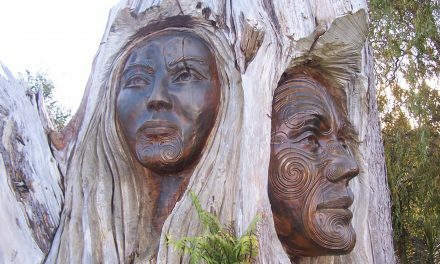 When i arrived at St Johns I was laced in the Tupuna style of Church with Sin and the old mihinare traditions as the main factor of thought. But after 2 years study Under your tutelage and other Teachers i saw a different Jesus. A radical one, who crossed boundaries to seek the lost, to take care of the poor, all the under priviliged, those who are different. I could go on. Thanks for the opportunity Jenny. Arohanui. As always Jenny your words hit the mark. You speak ‘truth’. Amen. Oh how the institutional forms of ‘church’ have domesticated Jesus. Thank you, Jenny, for your insightful presentation. I must admit that in my day at St.John’s Theological College in Auckland (70’s), with teachers like Raymond, George, Terry and John, our education was salted with active participation in real communities and with current justice issues. Our studies at that time were related to life ‘in the market-place’ where they have a real relevance. Today’s clergy – especially those in our diocese trained at Moore College, Sydney – seem to be concentrating on ‘Sin’ rather than the great theme of ‘Redemption’ which, to me at least, would seem more to coinhere with the activism of Christ in the Gospels – towards the marginalised of society. Thanks for these comments. With so much emphasis on ‘sin’ in terms of the actions of each individual person, many Christians have limited their vision of what a Jesus-centered life might look like. What about the systemic sins that create inequality, that lead to injustice, that cause some to be cast aside both in our country, but also in the global context? Once we truly befriend someone in prison, a homeless family, a refugee, a gay person, someone who has been sexually-abused (etc) we begin to see our neat, squeaky-clean church life rather differently. Until we leave the 99 and go out of our way to seek the one who is lost, we will miss the true call of Christ. It would be wonderful if that ‘going out’ was modelled by more church leaders and church communities. Thank you Jenny – you remain the prophetic voice I respect. Crying in the wilderness it seems. Tikanga is a verb, not a tick box. Yesterday I read an article in the Christchurch Press where the writer said that “New Zealanders hate zealots”. My first reaction was defensiveness as I have certainly been “zealous” in espousing the Palestinian cause on Facebook. Should I back off, tone down? So thank you for your encouragement to see our Leader, Jesus, as the radical activist that he was and is. I wonder, though, how many of our mental health and other social problems are increasing because we have forsaken the security of following God’s plans for our lives. Right back to basic. Look at the differences movements like ManUp are making. Are we going to deal with the cause, or the outcome? I am humbled and excited by these words and leadership in the theological necessity of going forward with this challenge. With my hand on the plow. Teena koe Jenny, thoughly enjoyed what you have shared with us and totally agree that transformation to happen beginning with the leadership in the church. Pope Frances follows in the same footstep as Pope John Paul, humble servants of Christ.